I'd like to talk about a little experience I had recently. Having changed health insurance carriers, I was instructed to have an establishing appointment with my primary care physician which primarily included an interview and a "physical." I was actually quite excited to see what the primary care physician's physical examination had evolved into since it had been literally YEARS since I had received a "complete physical." Much to my disappointment, the most physical thing I had to do was lay down and sit up on the examination table for abdominal palpation. Auscultation occurred, visual observation of my skin, blood pressure and temperature was taken.... however, no range of motion testing, no manual muscle testing, no gait analysis, no assessment of functional movement... all this despite an industry branding of a "complete physical." As if the results of this physical was a complete analysis of one's health, inferring the promise or at least projection of longevity, good health, and absence of disease should the "physical" return normal values. It became more of a let down when I was told that the industry movement was towards proactive healthcare through means of exercise, clean eating, and a general sense of healthy living. But, how could such a physical evaluate a patient's needs, abilities, impairments, and risk factors in regards to exercise and healthy living? In any case, while I was supremely happy with my physician, I was a little bummed out as a consumer. There was nothing truly physical about the "physical" I just had. The most valuable information I would eventually walk away with was going to be my lab values -- however, there really isn't much compelling evidence that the labs would determine, predict, or even be successfully utilized to prevent health, injury, or illness. My impression is that this physical is a little formality performed because physician physicals have always been done this way. In my humble opinion, anything that has always been done a certain way without justification, standing up to academic challenge, or refined from the crucible of competition requires severe revisitation. And expanded here: The Case for the Primary Care Physiotherapist. @PittPT Planning a blog on this! And, it lead to this collaborative post to which I'm very proud to say is the first post on this blog with guest authorship! Taking it away for the rest of this blog (with my most sincere thanks and appreciation for his thoughts) will be Chris Bise representing Pitt Physical Therapy on how they are training, preparing, and empowering the physical therapists today for the strategic environment of tomorrow! It’s been a few weeks since @PittPT and myself engaged in this conversation. Since that time, CSM and a number of Twitter engagements have only reinforced my thought that the time for the “Musculoskeletal Primary Care Professional” is now. In my opinion, this goal is mission critical for the health of the profession. This has long been the vision of many of the leaders here at the University of Pittsburgh. Our curriculum is designed around the independent musculoskeletal practitioner, operating without a referral (unrestricted direct access), managing the full range of musculoskeletal conditions. Thus, mastery of the physical exam is the first step in the journey to become a musculoskeletal expert. With this mastery comes an expectation that the knowledge gained will be applied. Many students in their transition to “new grad” are subjected to environments where they are expected to work under the supervision of a physician or have a diagnosis handed to them. The physical exam, or at least the screening elements, begin to fall to the side and become skills lost to those physical therapists. 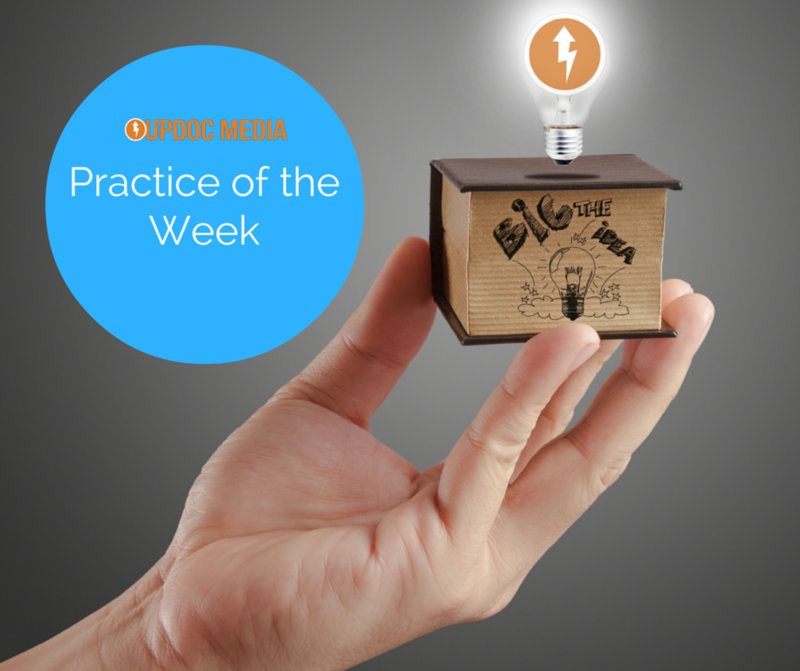 Practice patterns change, and in some cases critical thinking declines. At this point many will rationalize this decline with “I don’t have direct access in my practice environment.” I would posit that direct access, though a tangible element of outpatient practice, is in every practice environment available to the physical therapist. At CSM this year Karen Litzy, Dr.Kyle Ridgeway & Ann Wendel participated in a panel on this subject. They proposed that physical therapists practice with a “direct access mindset” across the entire range of practice environments. Some may see this as broadening our scope of practice. This isn’t an increase in our scope; rather, it is a call to assume ownership of the title “musculoskeletal expert.” Direct access isn’t an issue for only the outpatient therapist, but for the profession as a whole if we are to evolve from technicians to managers. We are musculoskeletal experts and physicians, nurses and other medical professionals know too look for the closest physical therapist when they need help. The role of the therapist has long been one of dependence on the physician for referrals and thus for employment. This arrangement clearly undervalues the education of the physical therapist, but as a profession, we’ve accepted this as the status quo. As physician sponsored studies here, here, and here recognize that PCPs are undereducated when it comes to musculoskeletal medicine, the proposed solution has been more physician education, and/or extender (PA/NP) specialization. Instead of increasing the burden on the physician or providing additional education to extenders I’d propose that there is a ready, well educated, musculoskeletal expert ready to fill this role. Enter the modern physical therapist. The modern physical therapist no longer simply treats patients, he/she manages them. The modern physical therapist is part of the diagnostic team, taking the lead on all musculoskeletal problems or impairments. This occurs “across the practice continuum” and lets the therapist lead when it comes to access, diagnosis, dose, frequency, intervention. But we need to embrace different practice environments and see the physical therapist as a portal of entry into the healthcare system. Our relationships with physicians (and other therapists for that matter) needs to become lateral rather than up and down. In a perfect world, we would actually increase referrals to physicians for non-musculoskeletal problems. We know early access to Physical Therapy (here, here) reduces cost and utilization, and that physical therapists are effective differential diagnosticians for musculoskeletal conditions. With this knowledge, the next practice environment should be the office of the PCP. My vision for the future of physical therapy involves the earliest possible access to PT. You call your PCP and tell them you have knee pain, back pain (insert musculoskeletal complaint here). Your first stop after the waiting room is the PT who makes sure you’re appropriate for treatment and either treats you that day, gives you an HEP and schedules a follow-up. With conditions that require extended care, the patient is referred to the appropriate PT provider. I can hear the critics already complaining about follow up and visits, but I can play the same game. Seriously, when was the last time your ankle sprain needed more than 1 visit and a follow-up to make sure he’s progressing? This would require a significant paradigm shift for some, but gone would be the days of inappropriate referrals. Now, in regards to musculoskeletal conditions, the PT is responsible for getting the right provider, in the right place, at the right time. We can’t continue to subsist on the beneficence of physicians, and I’m pretty sure this isn’t the relationship they want. We need to own what we do best, musculoskeletal evaluation and treatment. The path to a sustained reality is one of ownership and responsibility of the “direct access mindset”. It’s not acute care, neuro and outpatient, it’s “neuromusculoskeletal care”, and physical therapists are the best at prescribing it. It’s an important discussion and found it very helpful with the genuine quality material. Thanks for sharing a informative article. The endocrinology fellowship personal statement is a useful site for all.